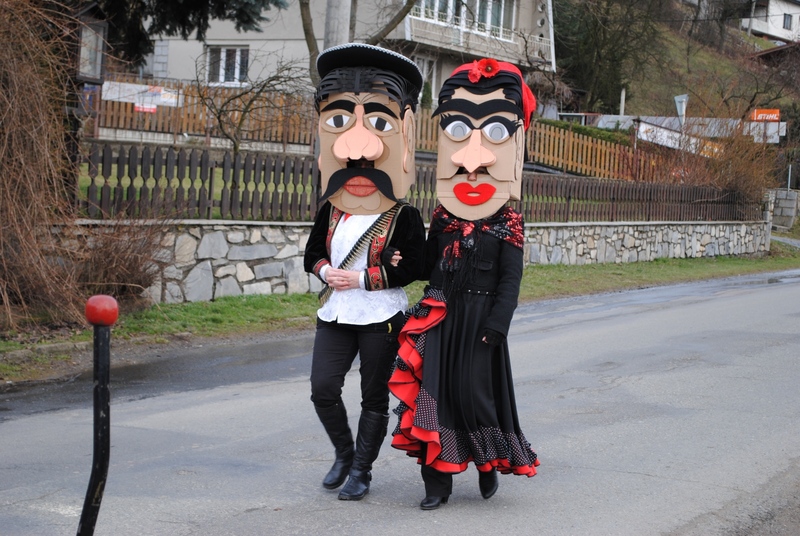 Carnival with various masks in the village near my town Šumperk. My friends created costume with masks made mainly of cardboard. Shot on 20th February, 2016. 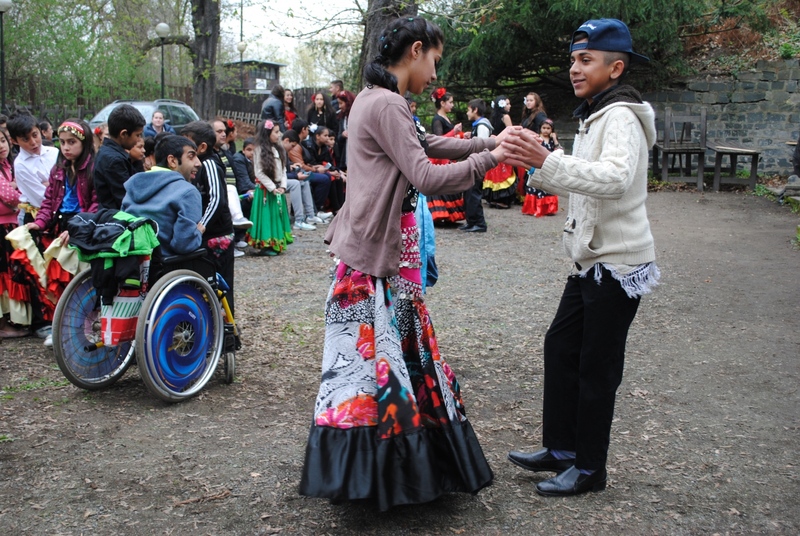 Celebration of the International Roma Day in Olomouc, the capital of my region, The young Roma dancing pair. Shot on 8th April, 2016. 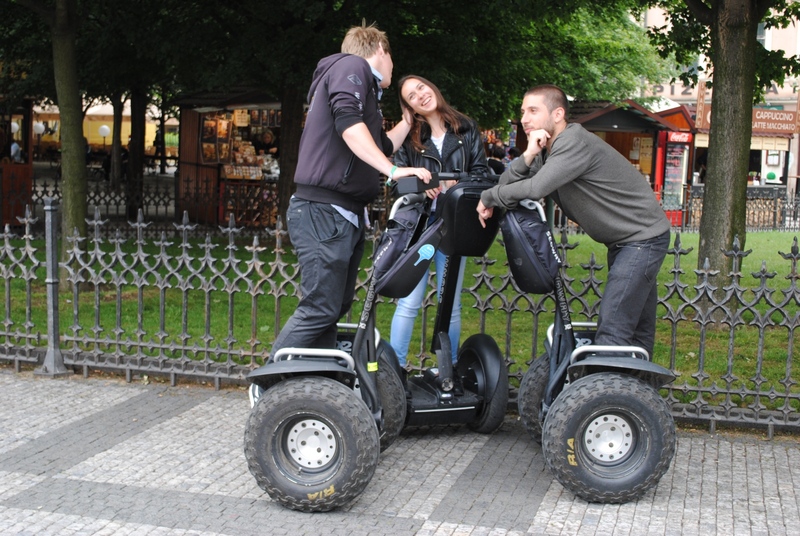 Young love on Segway in Prague streets - the Old Town Square on 26th May, 2016. 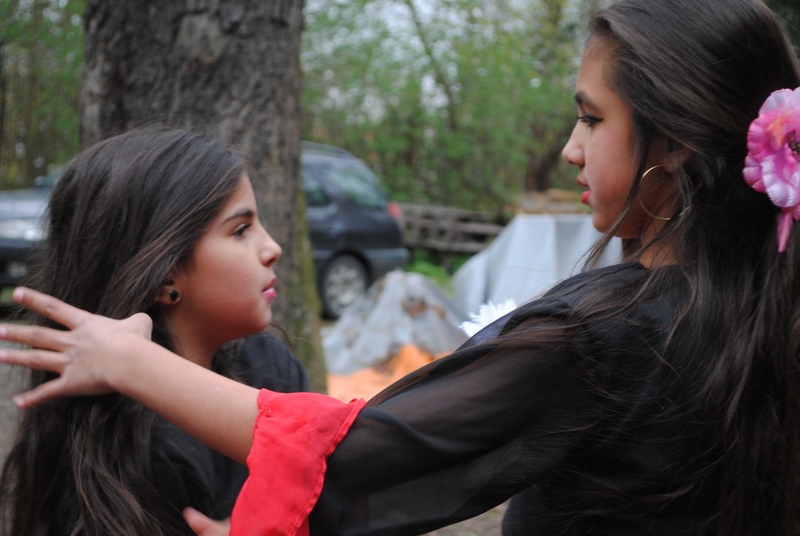 Celebration of the International Roma Day in Olomouc, the capital of my region, The young Roma girls adjusting their long hair. Shot on 8th April, 2016. 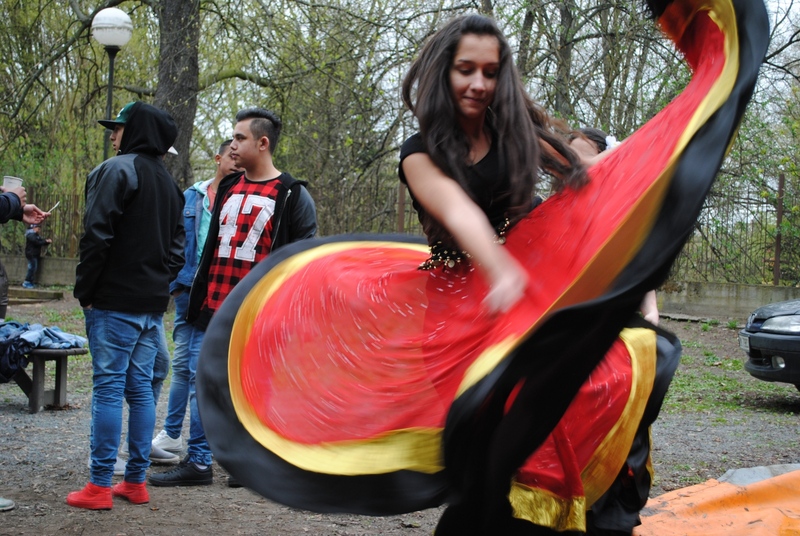 Celebration of the International Roma Day in Olomouc, the capital of my region, The young Roma girl waving skirt. Shot on 8th April, 2016. 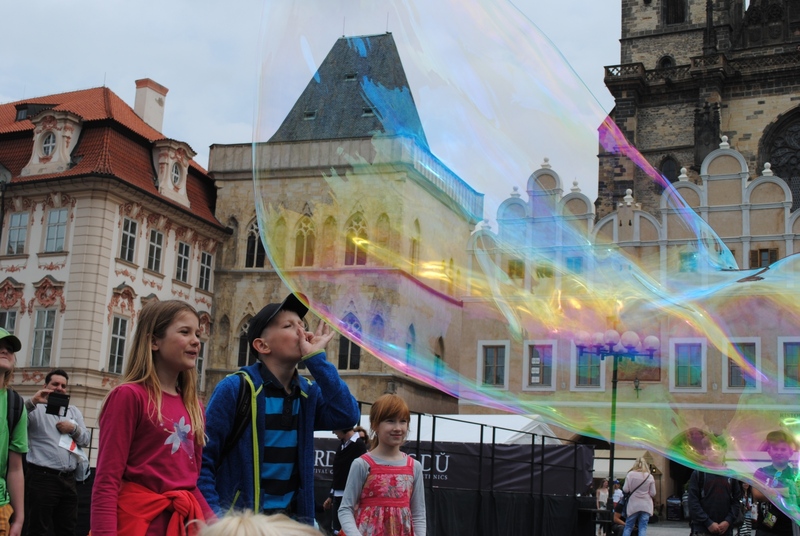 Children enjoying the huge bubble on the Old Town Square in Prague. Shot on 26th May, 2016. 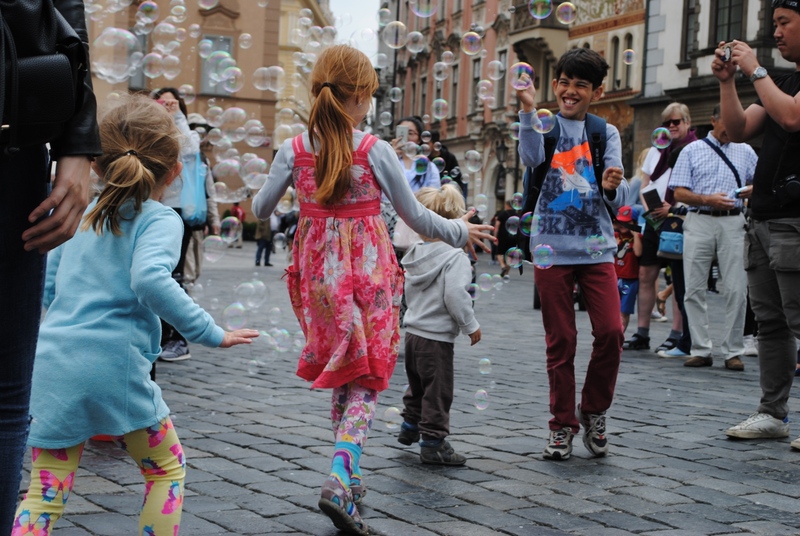 Children enjoying a lot of bubbles on the Old Town Square in Prague. Shot on 26th May, 2016. The girl with blond braid in front of the old buildings on the Charles Bridge in Prague. Shot on 17th April, 2016. 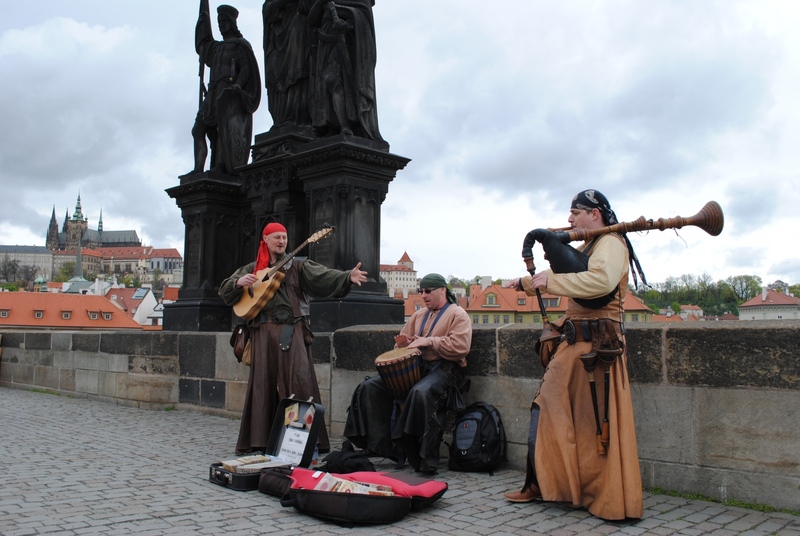 The old music group in costumes playing on the Charles Bridge in Prague. Shot on 17th April, 2016. 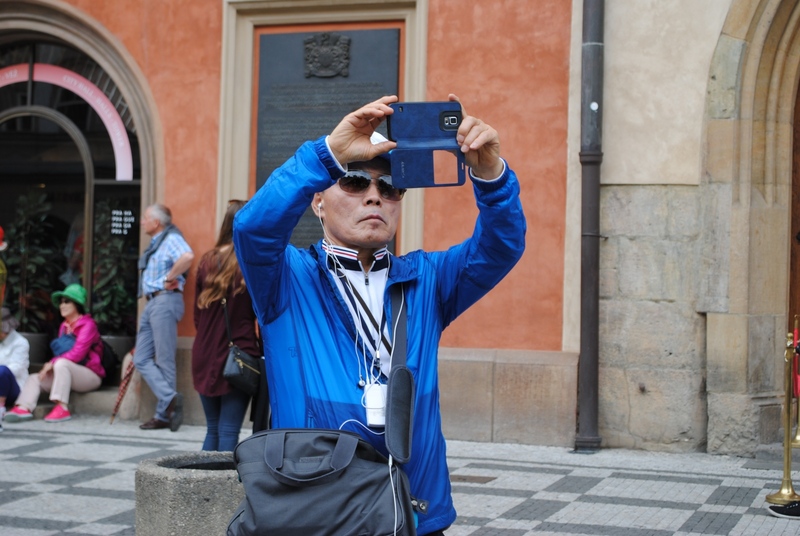 The impressed foreign tourist taking photographs in front of the Old Town Hall in Prague. Shot on 26th May, 2016. The Autistic People Day remark with the blue. The boy exploring my camera. Shot on 1st April, 2016. 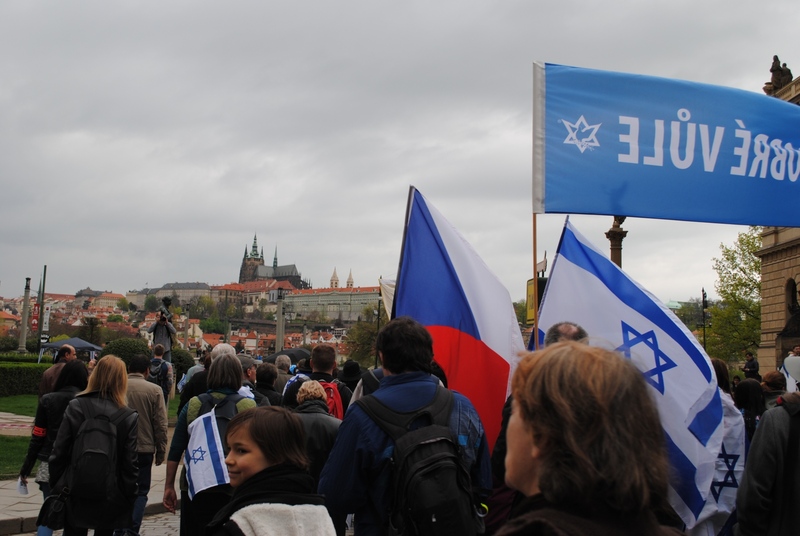 The March of Good Will under the Prague Castle. Shot on 17th April, 2016. Celebration of the International Roma Day in Olomouc, the capital of my region. The young chatting Roma girls watched by a young smoking Roma boy. Shot on 8th April, 2016. 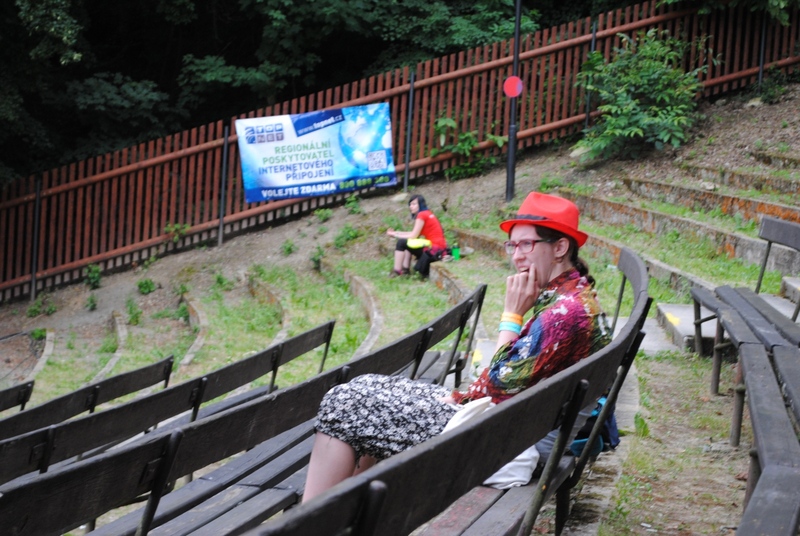 The Festival for Jewish Quarter in Boskovice, the boy with the red hat sitting and waiting for the concert in amfiteatr. Shot on 8th July, 2016. 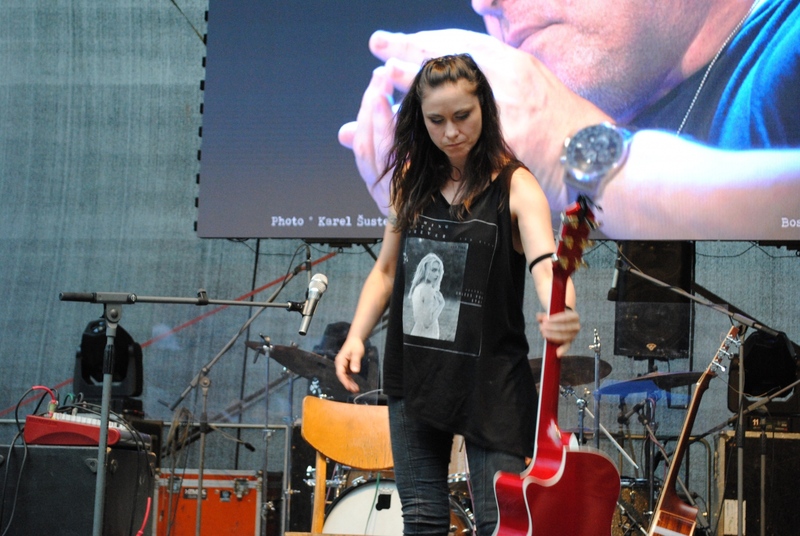 The Festival for Jewish Quarter in Boskovice, the star with the red guitar before her concert in amfiteatr. Shot on 8th July, 2016. 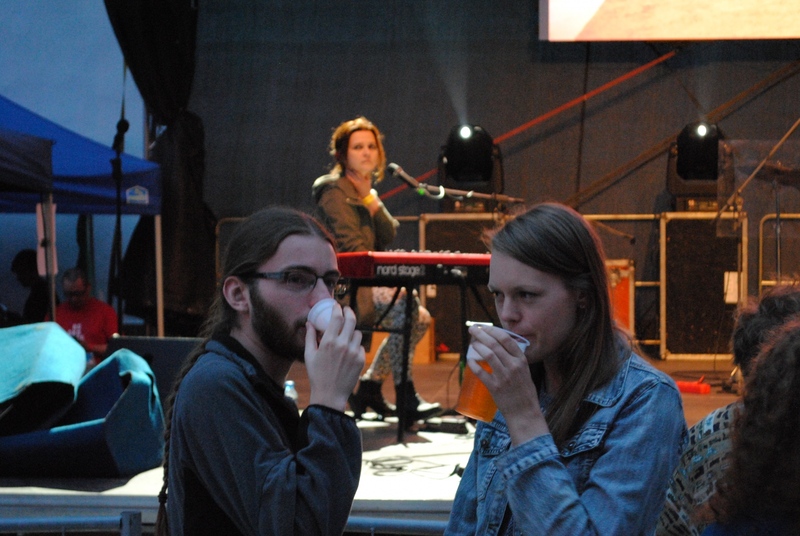 The Festival for Jewish Quarter in Boskovice, the young couple drinking and chatting before the concert in amfiteatr. Shot on 8th July, 2016. 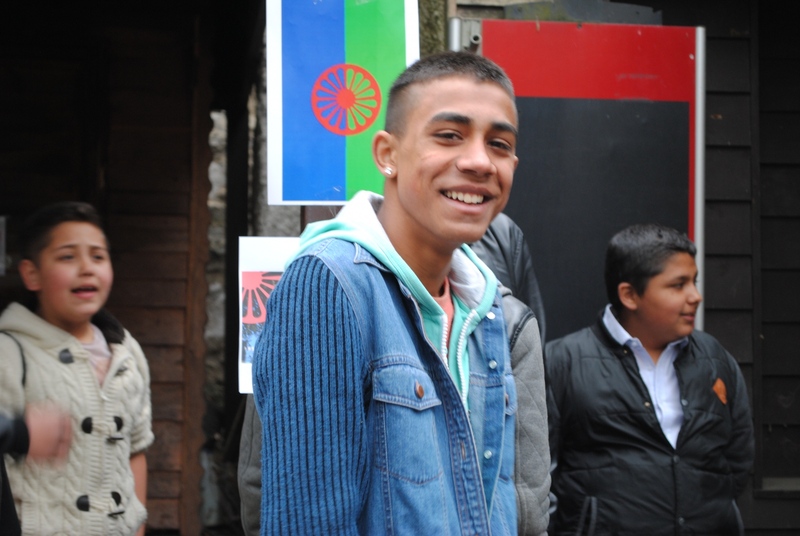 Celebration of the International Roma Day in Olomouc, the capital of my region, The young Roma boy laughing in front of the Roma flag.. Shot on 8th April, 2016. 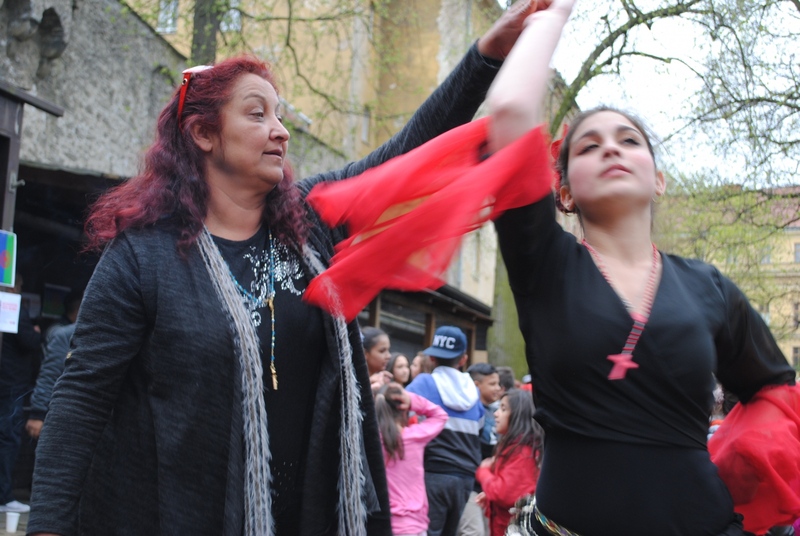 Celebration of the International Roma Day in Olomouc, the capital of my region, Roma mother holding and watching her dancing daughter. Shot on 8th April, 2016. 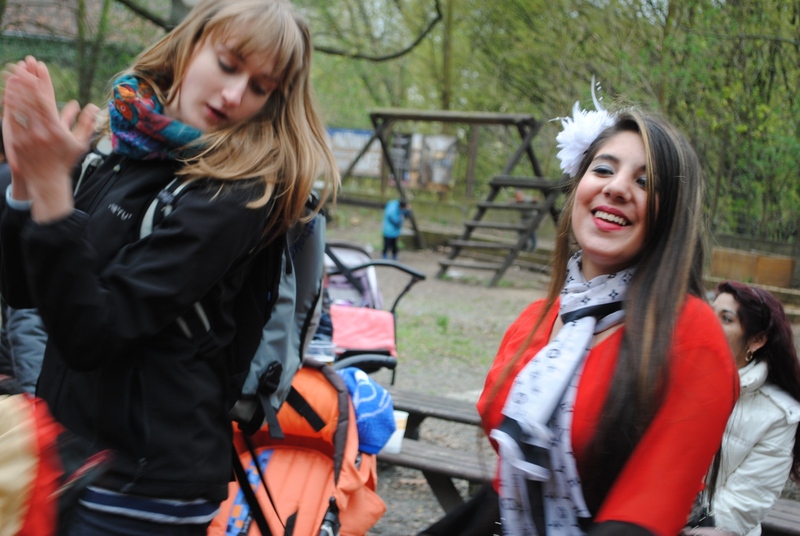 Celebration of the International Roma Day in Olomouc, the capital of my region, The young Roma girl enjoying dancing wirth her blond friend. Shot on 8th April, 2016. The Festival for Jewish Quarter in Boskovice. The photographer taking photo of the only actor in drama The poor people of Lodz. Shot on 9th July, 2016. The Festival for Jewish Quarter in Boskovice. The Italian music group playing the Italian folklore music in the synagogue. Shot on 9th July, 2016. The Festival for Jewish Quarter in Boskovice. 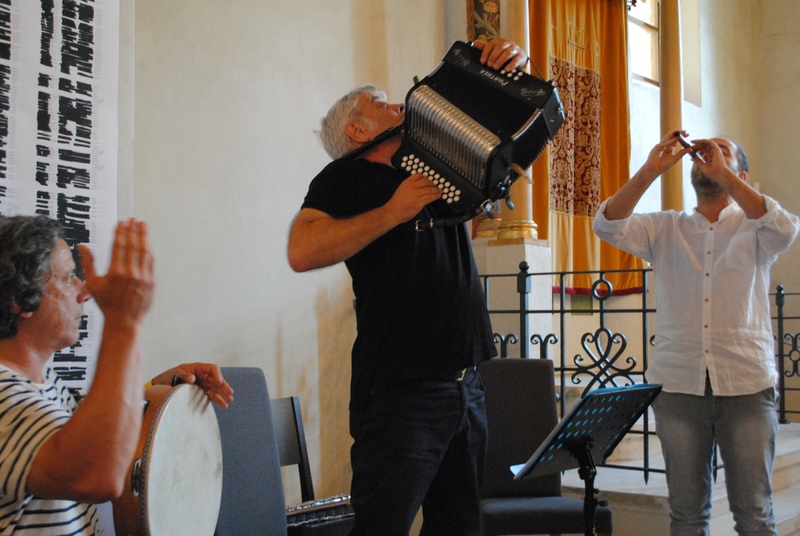 The Italian music group playing the Italian folklore music in the synagogue. The girl dancing Pizzicata dance. Shot on 9th July, 2016. 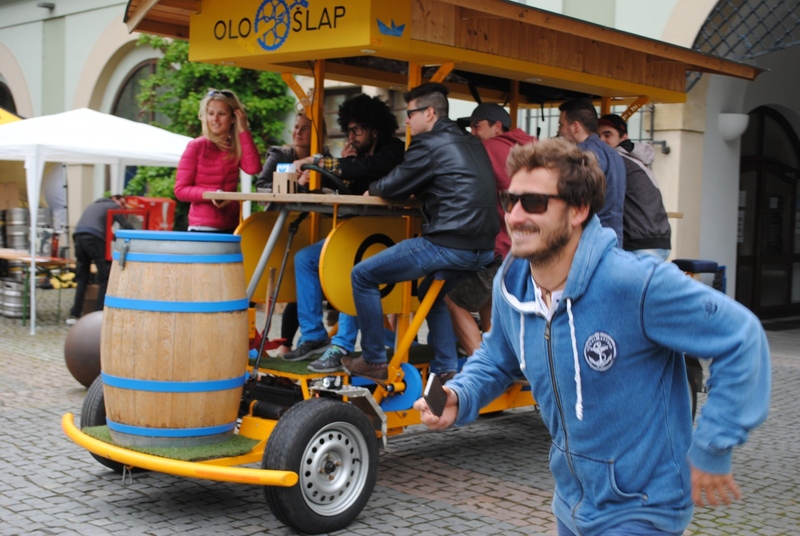 The Student´s Rag Day of university in Olomouc. The treadle car with enjoying students. Shot on 4th May, 2016. The Festival for Jewish Quarter in Boskovice. The open air theatre performance of folklore sayings. Shot on 9th July, 2016. My photos are mostly taken in the Czech Republic. I love Prague streets and my region. There is beautiful countryside and also a lot of interesting events. 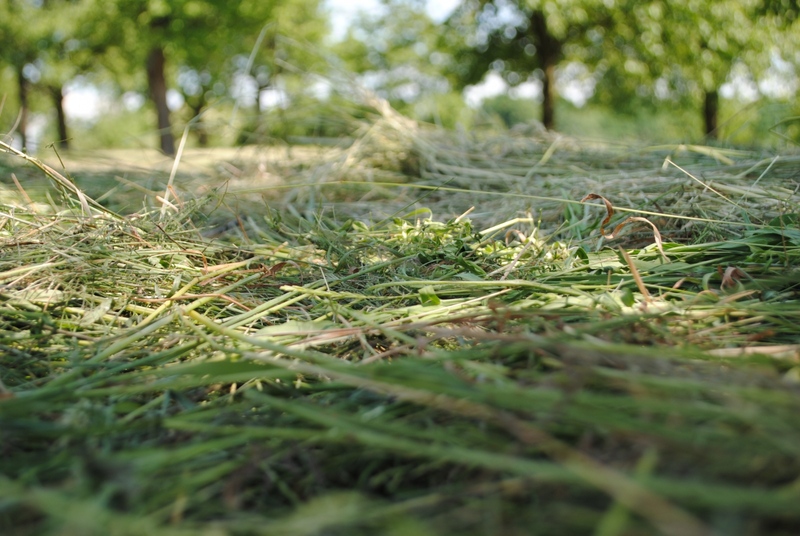 I took photos of the countryside around my town Šumperk. 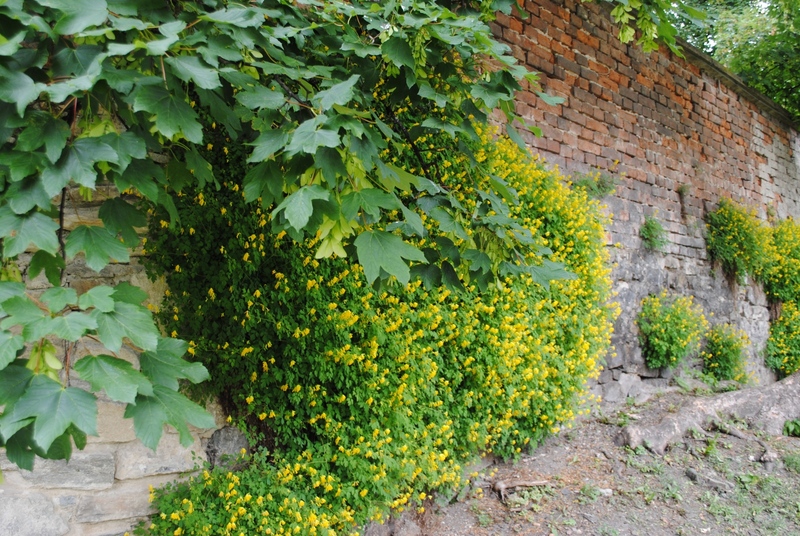 There are Jeseniky mountains with various trees and flowers. The capital of our region is Olomouc, where I took photos of the International Roma Day celebrations with a lot of dancing and singing. I also took photo of the University Students Rag Day in Olomouc. The commemoration of autistic people day in blue in Šumperk was very interesting on 1st April. 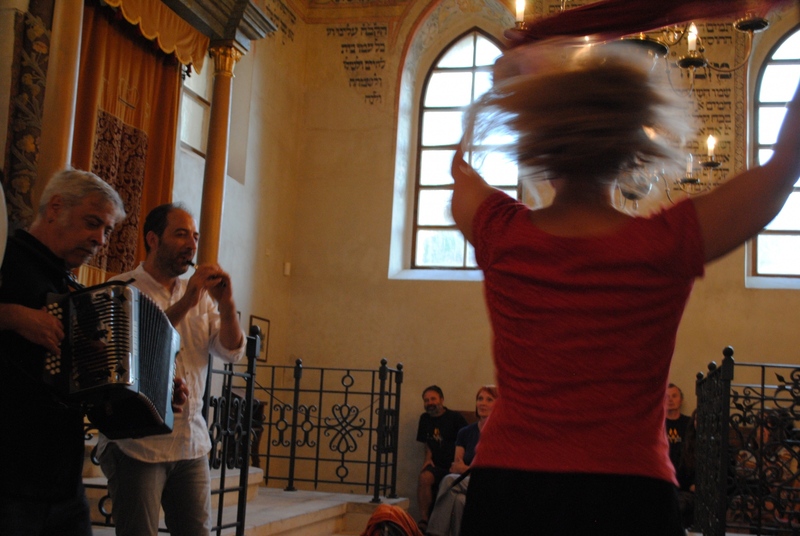 My favourite festival is in Boskovice with a lot of concerts, music, theatre performances and workshops in the synagogue, castle, chatteau and greenhouse there. 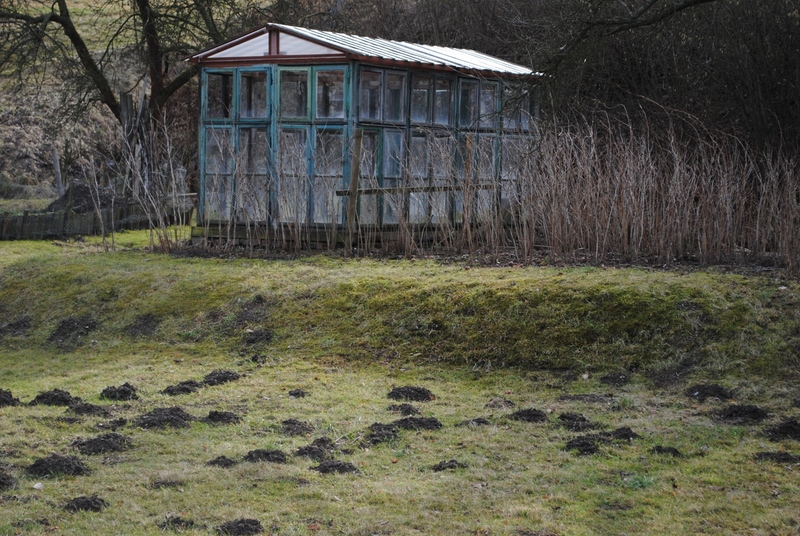 They reconstructed a lot of places to show people how their vanished neighbours lived there. My beloved street photos of Prague are from this amazing Czech capital with its people, monuments, tourists and events. By Lenka Hoffmannova — I take photos of almost each Gypsy event in Olomouc. They are very spontaneous and I love it. By Lenka Hoffmannova — It is autumn and we like taking our kites outside to fly them. There was organized very nice event/kite show in our sport airpost. 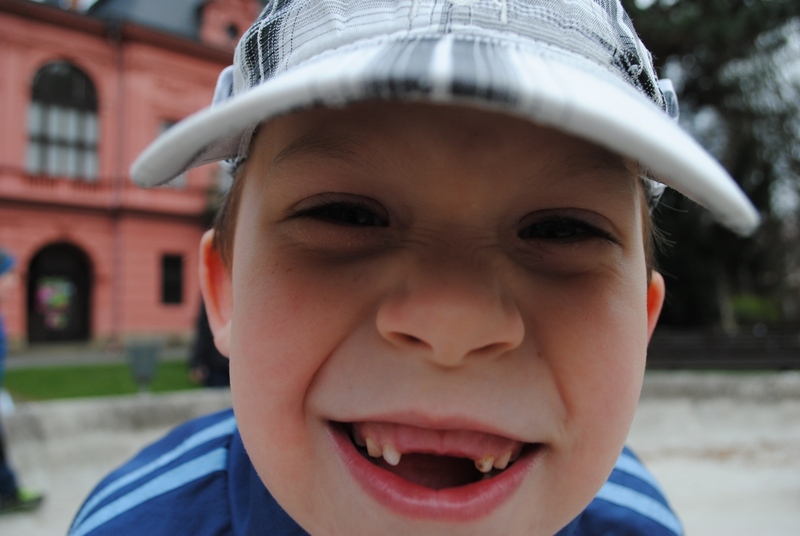 Parents and..
By Lenka Hoffmannova — There are a lot of ponds in the Czech Republic because Czech people mostly have potato salad and fried fish/carp for Christmas dinner. We..
By Lenka Hoffmannova — I visited San Francisko in September and went shopping with my hosts there. I love taking photos of people in various situations, events. I..
By Lenka Hoffmannova — I visited the exhibition and Magnum workshop COAL+ICE in the Fort Mason Centre in San Francisko. This exhibition was a part of the International..
By Lenka Hoffmannova — The typical Czech Christmas for Czech people includes Christmas dinner with potato salad and fried carp. There are a lot of ponds in the Czech..
By Lenka Hoffmannova — The International Folklor Festival takes place in my town Šumperk every year. This year we greeted assembles from all over the world - China,..
By Lenka Hoffmannova — The Spartan Race extreme race is very amazing and for everybody including children. I recommend you to be a part of this community. I have..
By Lenka Hoffmannova — The Prague Pride parade took place on Saturday. I have helped there as a volunteer for the 3rd time. By Lenka Hoffmannova — Three kittens were born on 21st April 2017. Their mother came to my door at the end of January and I could see her ribs and she was afraid of..
By Lenka Hoffmannova — The Spartan Race in the Czech Republic are various extreme races. There was probably the most difficult, 13 kilometres race in the Sport Area..
By Lenka Hoffmannova — The International Roma Day celebration by dancing in the capital of my region Olomouc. 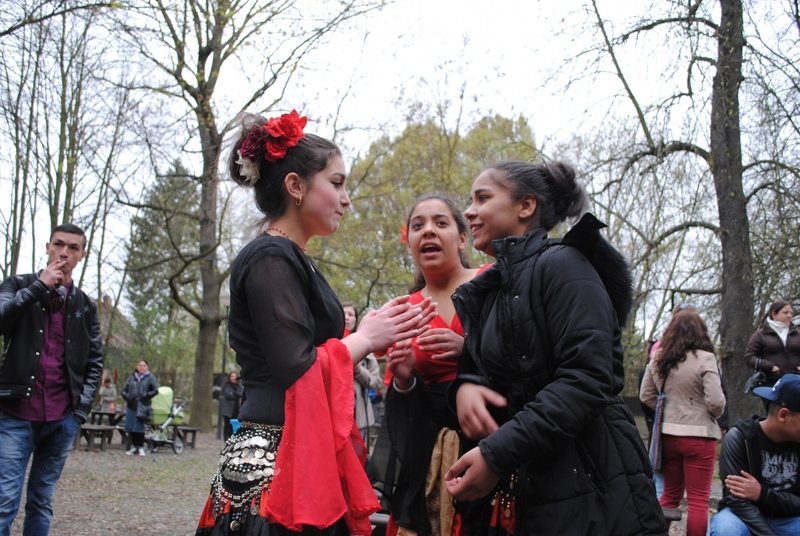 By Lenka Hoffmannova — The International Roma Day celebrations in Olomouc. My Gypsy project started just one year ago, but because of a lot of beautiful photos..
By Lenka Hoffmannova — I was walking through my town in the evening once. I was takong photos around the supermarket I go shopping. 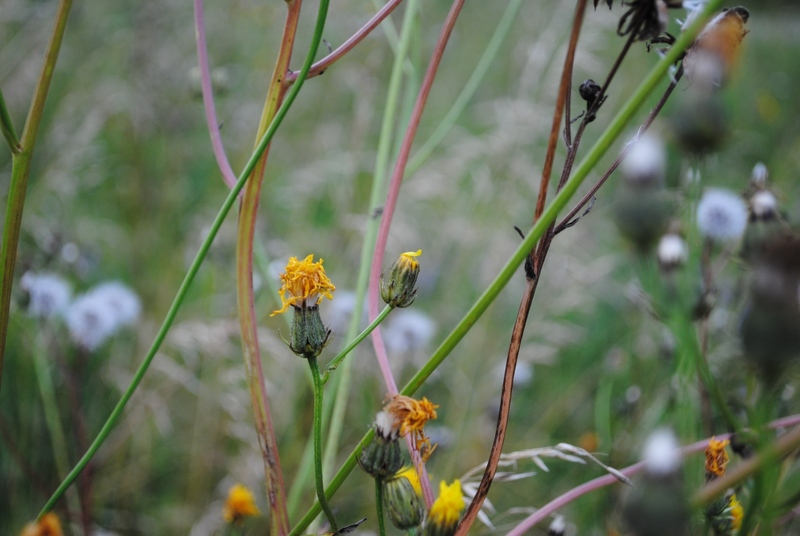 Last time I noticed beautiful yellow..
By Lenka Hoffmannova — My native district in Ostrava - Radvanice. It changed a lot after decades, instead of my native district ful of joy and beauty, here is the place of..
By Lenka Hoffmannova — The event about Jan Eskymo Welzl, adventurer, in Zábřeh na Moravě. The running race up to the castle gateway. 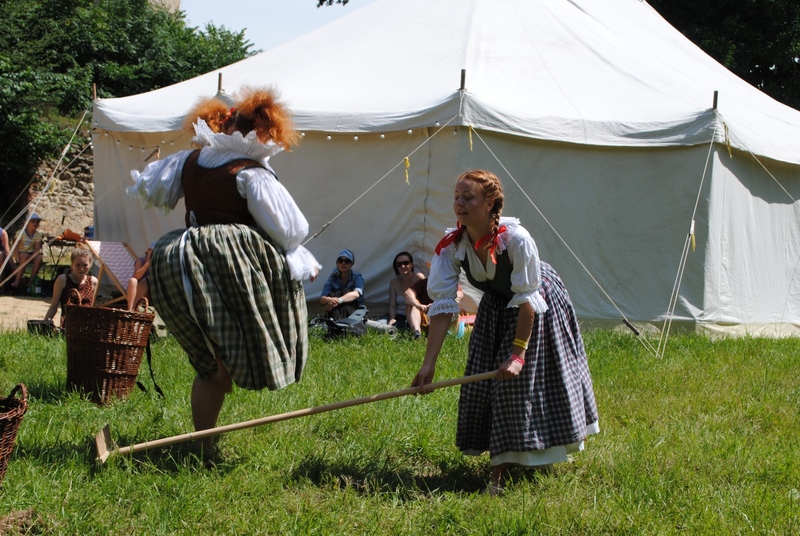 By Lenka Hoffmannova — My shots from the International Folklore Festival in my town Šumperk. Two senior dancing groups - one from the Czech Republic and another from..
By Lenka Hoffmannova — Photos taken in the park in front of the Main Railway Station in Prague showing people hurrying home from work or school. By Lenka Hoffmannova — Šumperk is a small town in north Moravia,the Czech Republic, surrounded by Jeseniky mountains. Every year tens of mostly young people leave it..
By Lenka Hoffmannova — The Airshow in my town Šumperk My friend produces radial engines for old mono-, bi- or tri- planes or replicas in my town Šumperk. He..
By Lenka Hoffmannova — The International Folklore Festival in my town Šumperk takes place here every year. There are a lot of music and dancing groups from all over the..
By Lenka Hoffmannova — My photos are from the Gypsy International Day celebration in Olomouc (April 2016). 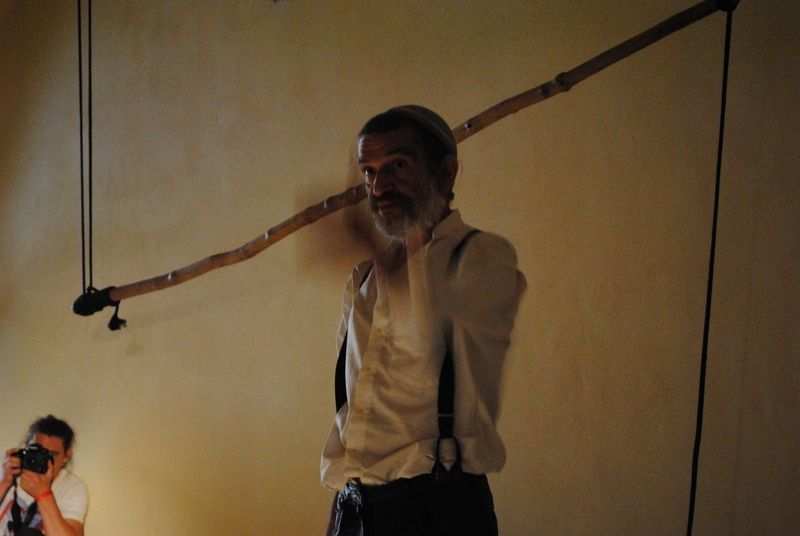 Gypsy people are the largest minority in the Czech..
By Lenka Hoffmannova — Synopsis: I am a member of Jewish community in the Czech Republic. 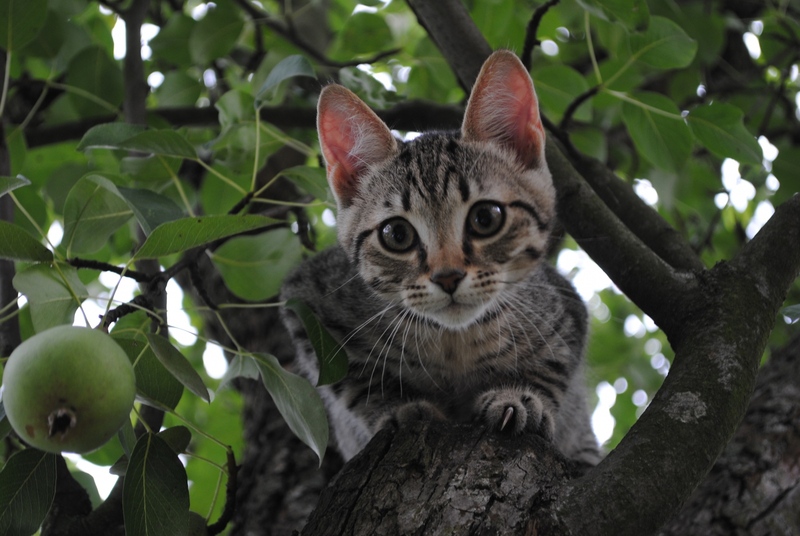 I am also a member of the Ackermann Geminde Organisation of the German minority..
By Lenka Hoffmannova — The neighbour´s kitten on the pear tree in my garden.